And would you look at that. 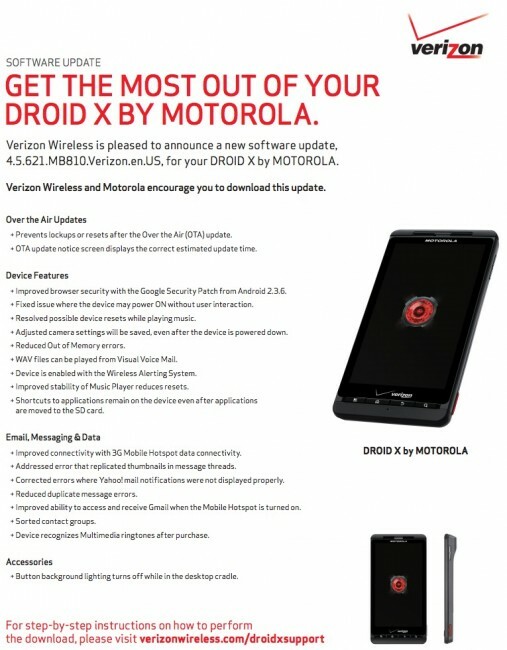 Moments after we received word that a new DROID X update was on the horizon, we have an official changelog. As expected, it fixes a number of issues that were included in the device’s Gingerbread update. The browser experience is improved, music player stability is addressed, there will be less message errors, and whole bunch of other tweaks. It took a while, but the DX experience should be improved once again. The update is 15.2MB in size.